Your heating rental is offered by GetFurnished.com with a range of quality products that you can rent over a period of one to 36 months. Here are many brands among the selection we have chosen for you. Make significant savings on your budget with our radiator rental services. Choose from our selection the radiator that will suit you best. Our delivery service is also available on the date of your choice and you will return it to us when your contract is completed or you no longer need it. Why pay for heating if you only use it for one period of the year? 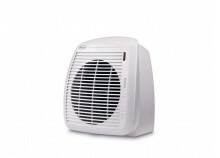 Warm up with an auxiliary heater by renting your heater for as long as you want! 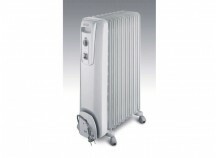 Rent your heater for the advantages without the disadvantages of buying. Keep your heater on as long as you want until you don't want it anymore. Take the one that interests you and pleases you for your comfort. - The price: GetFurnished.com offers you the lowest prices on the market. Save a lot of money! The purchase is no longer necessarily wise, especially if you want to change your device from time to time. Prefer to rent heating instead! - Quality: Trust GetFurnished.com, which means simple, fast and quality services from the selection chosen for you! - Simplicity: You don't have to worry about anything! Only enjoy your product once you have delivered it to your home!